Grandpa Wins (345/365) – Annoyingly Boring? After crossing the finish line Grandpa takes a moment to savor his victory. 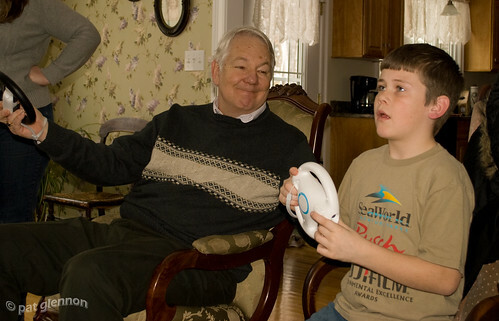 Grandpa beat the kid! Let’s hear one for the older generation! While Rupe is giddy for grandpa, Rick may have a point. Older Generation Prerogative, Rupe thinks …..
Ruprechts last blog post..Pardon The Hair! Everybody! Nice to see someone in your family not coddling the children. There’s a man who didn’t raise any hippies, damn it! Something tells me that grandpa’s been driving longer.